Brought to you by Jonas Paul Eyewear. Story Behind Jonas Paul Eyewear from sprout: visual storytelling on Vimeo. What were some clues that your child might need glasses? Paige – Ethan (9 years old) was sitting really close to the TV, asking what time it was from the back seat, and squinting his eyes. 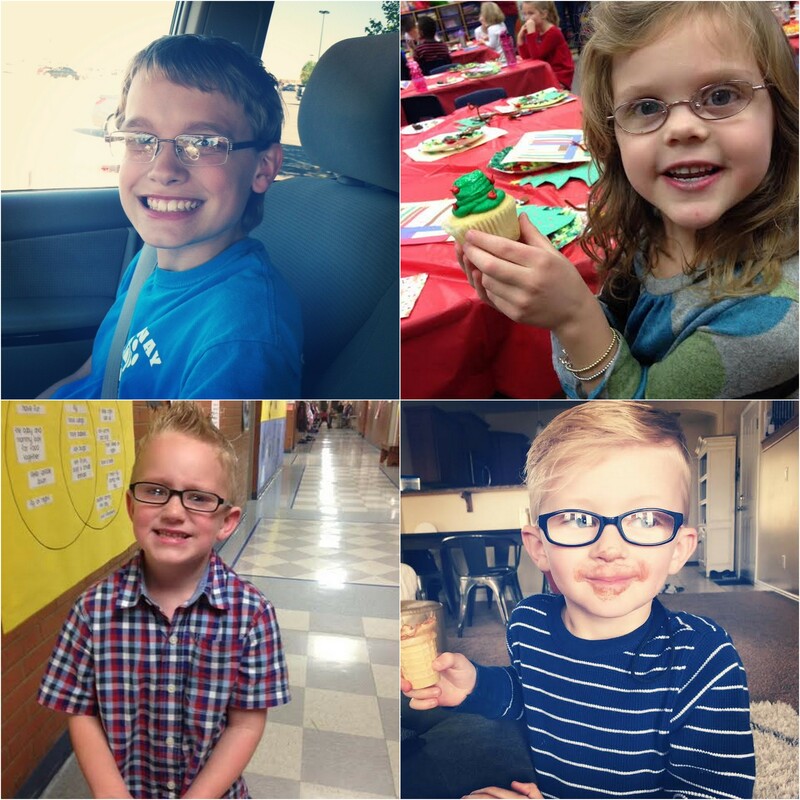 Linda – Both my husband and I wear glasses so we were always on high alert, turns out ALL seven of our kids wear glasses! For us, just like the dentist, we take our kids to the eye doctor at age three. Most of our kids didn’t get glasses until age 5 or 6. Headaches are always a good sign of problems, so look out for that! Julie – Our situation is unique because Amelia’s (age 4) vision was fine! But she had an eye muscle issue. Her eyes would turn outward when she was tired or trying to relax, causing her distress and aggravation especially watching TV or movies. It’s important for parents to know that passing a vision screen is not a guarantee that there are no issues. If you suspect anything is “off”, see a pediatric ophthalmologist! Lauren – Jack (5 years old) was having trouble focusing at school, his handwriting was hard to read, and his eyes were always wandering. How did you prepare them for getting glasses? Camille – Mason wore an eye patch to correct a lazy eye situation, we let him pick his stickers to decorate it and he felt special and unique. By the time he got glasses he was so excited he could finally see he never took them off! Paige – We always presented it as a cool and positive thing. Letting him pick out his glasses, no matter what he chose helped get him excited. He was actually sad that it would take a week to get them in the mail. Now Ethan isn’t Ethan without his glasses, it’s become a part of him! Linda – Since all their siblings had glasses the younger ones were usually jealous they didn’t get glasses too! I would always say “Don’t worry, your day will come!” 😉 We had little reward systems in place so if they were caught without the glasses they put a quarter in the jar, and then when they had quarters they could buy an ice cream from the ice cream truck. Worked like a charm! Like the other mothers, I always let my kids choose their glasses! Julie – I talked to her about glasses and how they will help her eye to “stay still”. It helped tremendously that I wear glasses. And now I refuse to wear contacts at any time, because I don’t want to send her the message that I look better without the glasses. I recommend parents in glasses to help their children through the change. My daughter is ok with her glasses because I am ok with mine. Lauren – I pointed out all the cool people he loves that have glasses, grandpa, uncles, other friends. I brought his glasses to school the first time, brought them to him and asked the other kids in the class “Doesn’t he looks so cool?” Most agreed and now he loves them! What do you wish you would’ve known before this experience? If your child is young take them to a specialist, get them on the right track right off the bat! Be diligent about what the doctor tells you to do. If he says patch, PATCH! The discomfort is worth it in the end. Buy the glasses you like, but then get their glasses professionally fitted and buy a warranty and even a back up pair. Getting scratched, dropped, lost, will all happen to your kid. Julie – I would have gotten anti glare lenses for her. Also, back up pair! Also, LittleFourEyes.com! Amazing resource with a Facebook group of over 2,000 parents of children in glasses. The group is invaluable for anyone just starting on the glasses adventure. Lauren – Take your prescriptions to Costco! The doctors office is so expensive. Thank you to all of the mothers who participated in this post! How cute are their little bespectacled darlings? Now for the GIVEAWAY! Two winners will get to pick their favorite frames either in optical or sunglass form, and there are two ways to enter to win! First, all you have to do is leave a comment letting us know why you’d like to win! We will pick the first winner from this post’s comments. For a second chance to win, all you need to do is share this post on Facebook and we’ll pick a second winner from those who have shared the post. Easy enough right? You have until Thursday April 24th to enter, and we’ll notify each winner then! Good luck! All photos except directly above are by Jylare Smith Photography! I want to win because my son would love them. My 18 month old loves being outside constantly and is also fascinated with swiping my prescription sunglasses. For fear that my own will be broken, I would love for her to have a pair of her own sunglasses! i wear glasses (blind as a bat) and my oldest daughter has been wanting a pair but it’s been so hard to find some without a prescription (that can be altered over time if she does need them because my family? bad eyes) that are cute. She would love these. My daughter is growing out of her prescriptions frames and I’ve been eying Paul Jonas! It’s so hard to find good looking frames for kids. Would love to win! I’d love to win so I could get my daughter some prescription sunglasses for this summer. She’s had glasses for almost a year now and this will be her first summer with them. We are big fans of sunglasses for summer and she is so worried about not being able to wear them with her glasses. I’d love to win because two of my three girls currently wear glasses and the third will probably need them soon! my girl needs some stylish specs!! My son needs new glasses. He is finally out growing his first pair. My son Milo just got his first pair of glasses this month, he’s three. Its been a hard adjustment for him, to get used to wearing glasses. Having some fun options might make it a little easier for him. Plus, since he is an active guy (which I am sure you all understand) the pair he already has is highly likely to break 🙂 … so winning this giveaway would be a huge blessing for us! Thanks so much for the chance! What a great give away! Soren has been wearing glasses since he was 13 months. He just turned 3 and still wears the same frame since we could not find another kind that fits him just as well. We would love to win these amazing glasses! 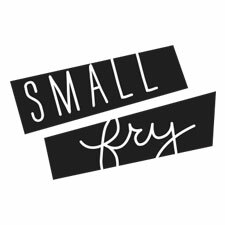 Thank you Small Fry and Jonas Paul! I’m soon to have two kids in glasses and man, it gets really pricey really fast! My daughter has been wearing glasses since she was 3-months old. She is almost 6 now. We know what a challenge it is to find a good fitting & stylish quality pair of children’s glasses. She would love to try a pair of these frames! Thank you for the opportunity. My husband and I both wear specs and are certain our little one will need some like mamma and papa soon! These shades by Jonas Paul would certainly do our little nugget right! I’m sure if he had some stylish Jonas Paul frames he’d be eager to get his glasses on. I would love to win a pair of glasses, my 4 year old was just prescribed glasses, we’d love to win a cute pair of Jonas Paul! I’ve been eyeing their site and dreaming about affording a pair one day! I would love a pair for my 6 year old. We have such a hard time finding any good quality frames that don’t break the bank and are cute to boot! He has a larger head so most frames look ridiculous on him! They have the worst selection of eyewear for my long lashed little dude through mediCade. He would look so cute in a pair of these stunner shades. I’d love to win some sunglasses for my son! He is obsessed with wearing them, and we go through so many pairs throughout the year! My 7 year old started wearing glasses in October when he was still six. He fought and fought about not wearing glasses and it took forever before he finally chose a pair of glasses. He cried in the mirror believing that he was ugly with them. I let him know how important it was that he wear them and that he was very handsome indeed. He looked again at his reflection in the mirror and said, “I really am very handsome.” Although he does have a pair of glasses, we have little money and they cost $250 since we have no insurance. It would be great for him to have a back-up pair in case they break. My son has been wearing glasses since he was 10 months old. Now he’s 5 and it’s strange to see him without glasses, they’re such a part if him. It’s hard to find stylish, durable frames, especially for boys! My 3 year old son is obsessed with sunglasses! It would be awesome to win some cool shades for him that he would love! My daughter just got her prescription and is so ready to show her friends that glasses can be stylish (just like her!) This would be the perfect Easter surprise! I’d love to win because my daughter would absolutely LOVE the sunglasses! I’m always in search of great stylish glasses!! I would love to win some for my cool boy! My youngest son Mateo, has worn glasses for two years and finding a “stylish” pair on his standards is very hard. So looking at these frames he would love them! My 6 year old son has been wearing prescription glasses since he’s 4 years old, and is in need of a new pair. It will be amazing to give him a pair of Jonas Paul! Love their stylish selection, most of all what the company represents. My sweet Ashton would be so excited to win. He has been in glasses since he turned 3 and now is almost 7. He’s out growing his pair he has now and I overheard him tell his brother that he can’t break his glasses cause they are super expensive and mom would have to spend all her money on new ones. Which isn’t all the way true, but close. We would love to win!! Pick Ashton! I would love to win a pair the optical ones for my Son! They are so fun and I’m a single Mom, so it would help out! My little girl has been in glasses since she was about 15 months old. I was really surprised at how limited the selection of kids glasses are! And it’s especially frustrating when you’re dealing with kids who are going to be rough on glasses just by nature of being kids in glasses. I’d love to win so her currently beat up pair can graduate to back-up! What a great company. Thanks! My son is due for some new glasses and I’m loving these styles! I have a cute nephew who look adorable in a pair of these! Plus I would win the award for coolest aunt! My nephew would rock these! He is kind of weary about having to wear glasses now so I think a cool pair would make him more comfortable wearing them! Go Milo! Gotta keep the eyes of the littles in my life safe. My daughter is 8 and has worn glasses since she was 3. We would love to win a pair because she would rock these! I loved this post so much! I just got my 5 yr old glasses to get ready for kindergarten! He loves them and I’m so grateful I found out he needed them sooner than later! We would LOVE to win because my 7 year old needs to wear his glasses ALL the time. He is reluctant to wear them, they a very plain looking glasses and I told think the plainness fits his personality. And I can’t really afford to buy him ‘cool’ looking glasses. We just went for his yearly eye exam, his right eye has gotten weaker, and they want to see him again in 6 months. My 3 year old son just got glasses last week! It would be great to have a back-up pair and he would love some sunglasses!! Would like to get some for my son! My nephew just got glasses last week, these would look SO CUTE with his blonde curly hair! My sweet little 3-year old, Graham was just diagnosed with lazy eye, so these would definitely come in handy! Great giveaway! I’d love to win because I have a 12 year old who wears glasses and he feels very self conscious about his glasses and these are so stylish it would help tons. These glasses are way too cool! LOVE it! I thought you guys/your readers might also be interested in a giveaway I’m running on my blog this weekend – the winner gets a hand-dyed, organic baby onesie of their choice from the Deer Jane shop on Etsy, and the onesies are pretty dang cute, if I do say so myself! 🙂 (http://www.deerjane.com/2014/04/its-giveaway-day.html) Shameless plug, I know, but I really think you guys would love them. Anyway… have a great Easter this weekend! We would love to win a pair of sunglasses to protect our boys eyes, great designs. My son has worn glasses since he was 16 months old, we noticed both of his eyes were drifting inward. After month of waiting for the specialist we got word we would need to have Ben wear a patch on his stronger eye for 6 hours a day. He took it like the little champ he is and rocked the “pirate patch” for 6 months. Unfortunately patching didn’t work so Ben had surgery in both eyes to strengthen his muscles. We’re now 6 months post op and his eyes are perfectly straight! He still wears glasses everyday to help with his eye muscles and eye sight, he’ll always wear them. I think these glasses are so fun and so hip and Ben would just love them! It’s nice to have options for a kid that has to wear glasses when they are awake, id love to get prescription for sunny summer days! Thanks for the chance to win ! My son has worn glasses since he was a year old. I am always on the look out for cute glasses and tend to tell kids they look great in their glasses when I see them. These are so adorable. My son would absolute love these frames! He wears prescription glasses and he loves the movie “A Christmas Story” those Jonas paul frames that Quinn is modeling look exactly like Ralphie Parker’s glasses! My son would be stoked! Thanks for the opportunity! I love this blog! I went to high school with Laura and am a huge fan of everything she’s done with her business and the meaning behind it! They makes beautiful frames, and I’d love for my son Oliver to sport a pair this summer while playing outside! He has super light blue eyes, and the sun light really makes it tough for him when we’re outside. These are adorable! My 9 year old is a stylin’ guy… he would love these! He has a pair of glasses but doesnt wear them much because he doesnt love how they look… I think he would look great in these! Would love a pair for my 3 yr old son… so cute! Bea is crossed eyed. She has worn glasses since she was 11mo. Do you know how hard it is to find cute glasses for small babies/children. So excited about this brand! Now that she is 3 these frames would be perfect for her next set of glasses which I usually have to buy every 9 mo. because her head and face grows so much. Please pick us! Good glory we need some new cute frames!! Our little Nina gets fogged up so easily because her sad little frames touch her face. She’s been wearing her current pair for about 7 months and I fear they won’t even make it to a year. She needs a go pair! I would love to win a pair for my son. These look like great quality glasses. I would LOVE to win JPE frames! My 2 year old son has worn glasses for Strabismus, hyperopia, and Amblyopia for a full year now. We will need to replace his current frames in the next month or so, and I have such a hard time finding something nice for him! My constant (read: “obsessive”) search for nice frames for him has led me over and over to Jonas Paul Eyewear’s page and I love everything about this company! I am inspired by the Harrison’s story. As a parent who would do anything for my son, I can feel the tug on their heart that is driving the creativity they are using to turn their fear into hope and it is absolutely beautiful. And do you know what? They ARE creating a better future for their son. Certainly I understand that a person’s beauty comes from their heart, but I want my son and other glasses-wearing little ones to look great! Glasses are on a person’s face, for goodness sake, so why in the world are there not more stylish options for children?! I want my son’s glasses to help the world see and understand him just as they help him see and understand the world around him. I don’t want his glasses to make him appear awkward and closed off, I want his glasses to express his joy, mischievousness, and charm. I want people to see him and to know right away that he is a smart, capable, funny, compassionate little boy who has a lot to offer, regardless of his eyeballs’ ability to function alone. All of that being said, I believe that the Harrisons are changing the world and creating a brighter future not only for their precious little Jonas, but also for my precious little Asher and all of the other little kids out there who have impaired vision. They are changing the world by helping a bunch of little kids create a new, cool image, instead of being negatively labeled by an outdated stereotype. When people tell my son what they see when they look at him, I know he will believe them and apply what he is told about himself to his developing identity. So I want his outward appearance to help him communicate his beautiful heart so that people will see him for who he is, appreciate him for who he is, and treat him accordingly. That is a long, cheesy way to say why I want him to have nice glasses. The other side of why I would love to win some new frames for my son — My husband, son and I are Americans living abroad in a very expensive city (Zürich, Switzerland). We are here while my husband works on a PhD and I stay home with our son. So on a purely practical note, we could certainly use the help. Our son’s lenses are not covered by our insurance and they alone cost a significant portion of our monthly income. So that being said, we could use the help! So please, pick us! My 7 year old just found out she needs glasses. We have searched high and low for sturdy glasses with STYLE! So hard to find for little girls frames. I fell in love with the Jonas Paul glasses and the fact that they are so CUTE!